Westindian, a one-word description of our Caribbean civilisation was coined by the late Alister Hughes of Grenada. Yugge Farell is now out of the mental hospital. Her new court date is 17 December 2018. Westindian, a one-word description of our Caribbean civilisation was coined by the late Alister Hughes of Grenada. It conveys that we as people of different islands come from diverse places, different races, various religions, yet we are remarkable similar and usually get along quite well. Borrowing from the Instagram square, the 4 artists have for the most part followed a square format to depict the people, flora, fauna that all contribute to a lively synthesis of a society. The word square however has taken on a much deeper connotation with recent events. ‘Square’ to a builder is to make the line plumb, make sure the corner is 45 degrees. ‘Square’ to a mathematician is to multiply it times itself to achieve a greater sum. ‘Square’ to a young person of the 70s was a person who just wasn’t cool. But now, to artist Susan Mains, ‘square’ means to set it right for the young Yugge Farrell of St Vincent. 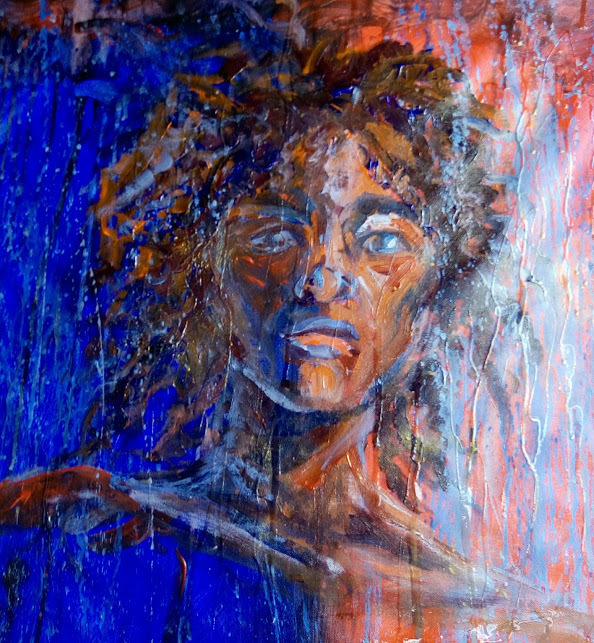 Hearing of Farrell’s plight through social media, she painted from the phrase, “When your neighbour’s house is on fire, wet yours.” Posting a picture of the painting on social media caught the attention of Holly Bynoe, curator and artist from Bequia, who tagged Jerry George, radio and media personality. Jerry interviewed Susan at her gallery in Grenada. Further the image caught the attention of a young Barbadian song writer, Amber Stone. Amber wrote a song about Farell and released it. Andrew Pilgrim, a lawyer from Barbados got involved. A great Westindian. Yugge Farell is now out of the mental hospital. She is on bail. Her new court date is 17 December 2018. A whole year of justice waiting and denied to this young lady. The painting will be displayed along with the works of Susan Mains, Asher Mains, Catherine Forter Chee-A-Tow and Virgil Broodhagen. Amber Stone will be at the opening to sing her new song. Exhibition opens 11 Feb at 5 pm at Gallery of Caribbean Art, Northern Business Centre, St Peter, Barbados. All are welcome.